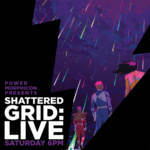 The Power Rangers fan community was rocked last month when the mega-event known as Shattered Grid literally shattered our expectations. And that was just the first issue of BOOM! Studios‘ Power Rangers comic event. So what happens in the SECOND issue of the Shattered Grid event? Quite a bit actually! 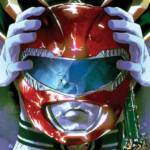 It’s time for Mighty Morphin Power Rangers 026! The Mighty Morphin Power Rangers are grieving over their tremendous loss from the previous issue. Unfortunately for our heroes there is no time to reflect – Lord Drakkon is on the move and this time he has the Power Rangers Samurai in his sights! But what can the Mighty Morphin Power Rangers do to help the Power Rangers Samurai? Find out in our full spoiler-filled review by clicking “Read More”! Again – major spoilers ahead! Read at your own risk! The time has come for the climatic end to Shattered TokuNation – our Review of Mighty Morphin Power Rangers 25! This issue changes everything for the Power Rangers in ways the fandom couldn’t even imagine. It may very well be the beginning of the end of the Power Rangers at the hand of one of their own! Lord Drakkon is free and his plans are now in motion. But first thing first – he needs his powers back! Click “Read More” to read our review of Mighty Morphin Power Rangers 25. Be warned – included in this review are ALL THE SPOILERS of the issue! Read at your own risk! A quick heads up for those of you who seek out and collect the harder to find items. A set of the Ranger Keys from the Morphin Madness contest of 2014 is available on ebay. 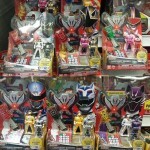 This set of five Ranger Keys (Mighty Morphin Red Ranger, Mighty Morphin White Ranger, Turbo Phantom Ranger, Lightspeed Rescue Titanium Ranger, Time Force Pink Ranger) was voted in an online poll/contest by the fans and the winning set was given to 5 lucky winners – meaning this is 1 of 5 in existence. Don’t miss your chance on grabbing this rare item but heads up – make sure your wallet is deep because the price is already quite high. Click here to check out the ebay listing! More guests have been added to the line up for the Official Power Morphicon! Added to the list are six guests with one popular guest from last year returning for her second go around! Check out the list below! We’ll see you at the show!! Before we look at the Power Rangers Time Force B assortment of Ranger Keys, please take a moment and check out our previous Ranger Key galleries! 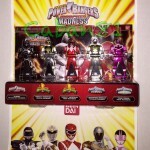 The Power Rangers Super Megaforce – Power Rangers Time Force Ranger Keys Set B comes with three Ranger Keys – a translucent Time Force Red Ranger, a translucent Time Force Green Ranger, and one of the winners of last year’s Morphin Madness contest – the Time Force Pink Ranger! Notably absent is the Time Force Yellow Ranger, who remains unreleased as of this time (with no plans at the moment for a release). The Quantum Ranger Key was available in the Legendary Morpher Gift Set release, which came with 20 different Ranger Keys. Check out 25 images by clicking here or by clicking on the “Discuss” link! Did you pick up this set? Do you want to pick up this set? Are you mad this set is short-packed to top it off? Sound off in our discussion! Discuss on the Tokunation Forums› Views: 4668 › Credit: @CABAN81 on Twitter!